Listing provided courtesy of Lindsay Dunlap of Compass. Last updated 2019-04-15 09:03:14.000000. Listing information © 2019 Sandicor. This Detached property was built in 2010 and is priced at $3,695,000. Please see the additional details below. Nautical Cape Cod Meets California Coastal Style! This storybook Bokal and Sneed home was designed to complement its idyllic location within walking distance to the Del Mar Village and steps to the beach. 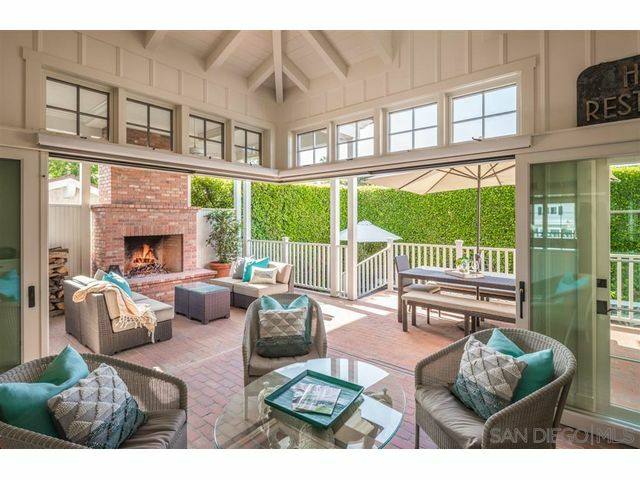 This charming home was custom built in 2010, with the highest level of quality craftsmanship and finishes, to take full advantage of San Diego’s coastal climate with a fusion of indoor/outdoor living areas. This extraordinary beach home has been impeccably and meticulously maintained by original owner.